Much of what drove us in over twenty years of research in refinement, starting with Z in particular, was the desire to understand where refinement rules came from. The relational model of refinement provided a solid starting point which allowed the derivation of Z refinement rules. Not only did this explain and verify the existing rules—more importantly, it also allowed alternative derivations for different and generalised notions of refinement. 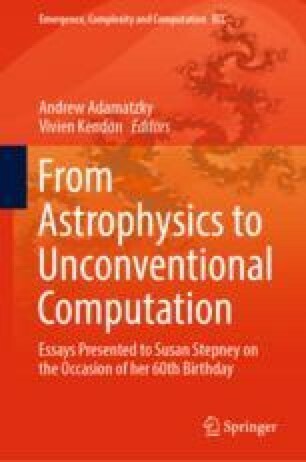 In this chapter, we briefly describe the context of our early efforts in this area and Susan Stepney’s role in this, before moving on to the motivation and exploration of a recently developed primitive model of refinement: concrete state machines with anonymous transitions.